Meet five unforgettable heroines in these feisty stories to laugh over, cry over – and share with your best friends! 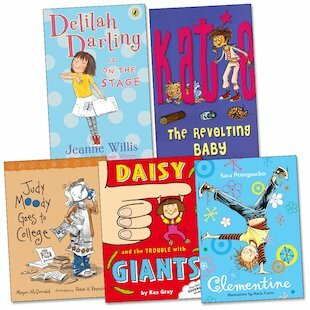 You’ll get to know the stars of today’s best and funniest fiction in this fantastic pack for girls who love to read and laugh! From fresh-faced Clementine, the smash-hit new kid on the block, to crazy Daisy, who always ends up in trouble, these aren’t goody-two-shoes girls who write neat letters and like dressing up nicely for Granny! They’re tearaway girls with big mouths, big personalities – and big dreams! Packed with sassy personalities and hilarious dramas, here’s big dose of naughty, cheeky fun to liven up every day!